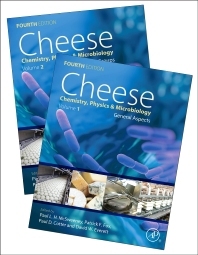 Cheese: Chemistry, Physics and Microbiology, Fourth Edition, provides a comprehensive overview of the chemical, biochemical, microbiological, and physico-chemical aspects of cheese, taking the reader from rennet and acid coagulation of milk, to the role of cheese and related foods in addressing public health issues. The work addresses the science from the basic definition of cheese, to the diverse factors that affect the quality of cheese. Understanding these fermented milk-based food products is vital to a global audience, with the market for cheese continuing to increase even as new nutritional options are explored. Additional focus is provided on the specific aspects of the ten major variety cheese families as defined by the characteristic features of their ripening. The book provides over 1000 varieties of this globally popular food. Dr. Everett is an Associate Professor in the Animal Science Department and Director of the Dairy Products Technology Center. 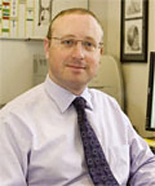 He is originally from Australia, and completed his PhD in Food Science at the University of Wisconsin, Madison. His academic career includes a post-doctoral fellowship at the University Of Guelph, Canada, investigating emulsion surface structures, and as faculty at the University of Melbourne, Australia, and the University of Otago, New Zealand, in food science departments. He has worked on dairy industry projects at a federal government research center on Australia (CSIRO) to help develop a technology to manufacture hard cheese from ultra-filtered milk, and at a dairy industry-funded company as a science liaison manager to bring together publicly-funded researchers with the dairy industry to solve technical problems. I have been reading this book since 1987 (its first edition) and the Editor PF Fox updated the book every ten years with the last works published. Cheese book is a reference and encyclopedic book for scientists, students and also cheese industry. Thanks for all editors and contributors. Its a valuable review of several important aspects of cheese, bringing new scientific knowledge. However, it should also contain analytical methodologies around this matrices.